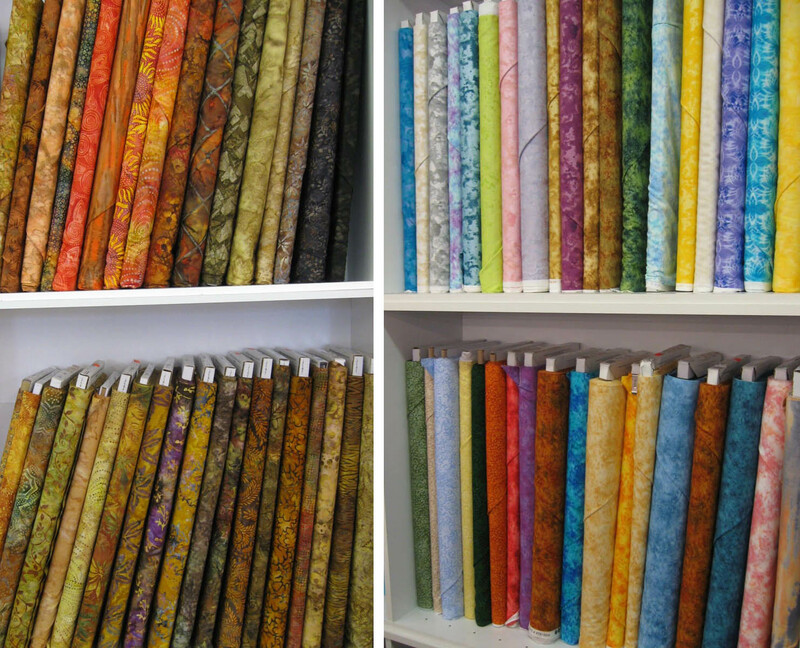 Recently, my Fabric Rep Trek with Blank Quilting went south (literally) into Alabama. 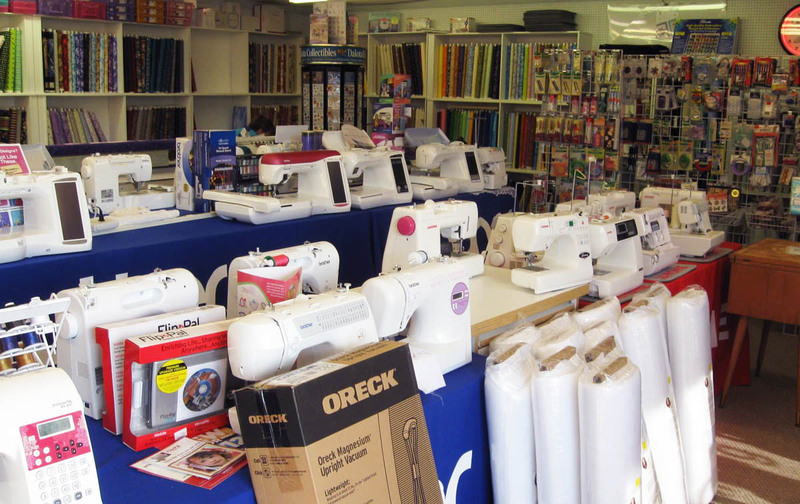 I visited Huntsville Sew and Vac, a full service sewing machine center that carries Janome and Brother sewing, quilting and embroidery machines along with threads, notions, stabilizers, patterns and a fabulous selection of quilting fabrics. Huntsville Sew and Vac, Huntsville, Alabama. 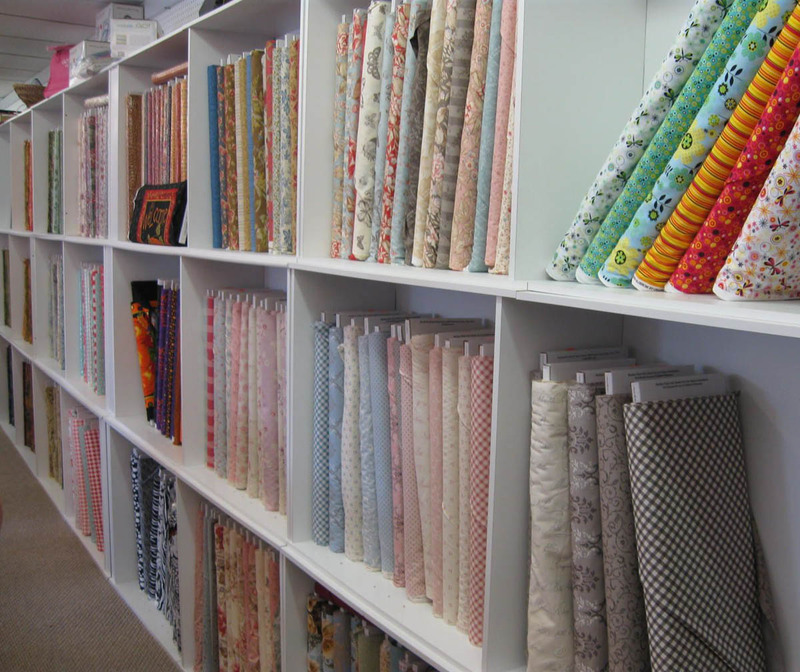 ... a wall of fabrics—three shelves high—with a glorious selection of prints, florals, brights and period reproductions. 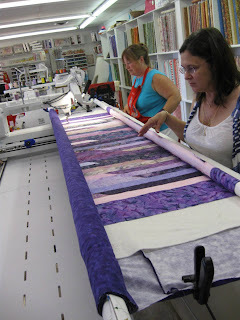 Being a machine quilting aficionado, it was fun talking with Sherri, the long-arm expert, who was free-hand quilting motifs and words onto a customer's quilt when I arrived. Sherri (left) and Donna, the owner, at the long arm. Sherri and I had a lively discussion about batting and she told me about her current preferred batting fiber—bamboo—and its characteristics that she liked: good loft, breathable, and its propensity to "stick" to the top and backing fabrics, making basting and sandwiching easier. Brother and Janome sewing machines at Huntsville Sew and Vac. Donna, the current owner, worked in the store for about 4 years before purchasing it from the previous owner in 2008. Donna and her staff at Hunstville Sew and Vac are very friendly, welcoming and knowledgable and their passion for quilting and sewing is infectious! When a new fabric line strikes their eye, a half dozen or more ideas, projects and classes they think their customer would enjoy flood their minds and begin to monopolize the conversation. 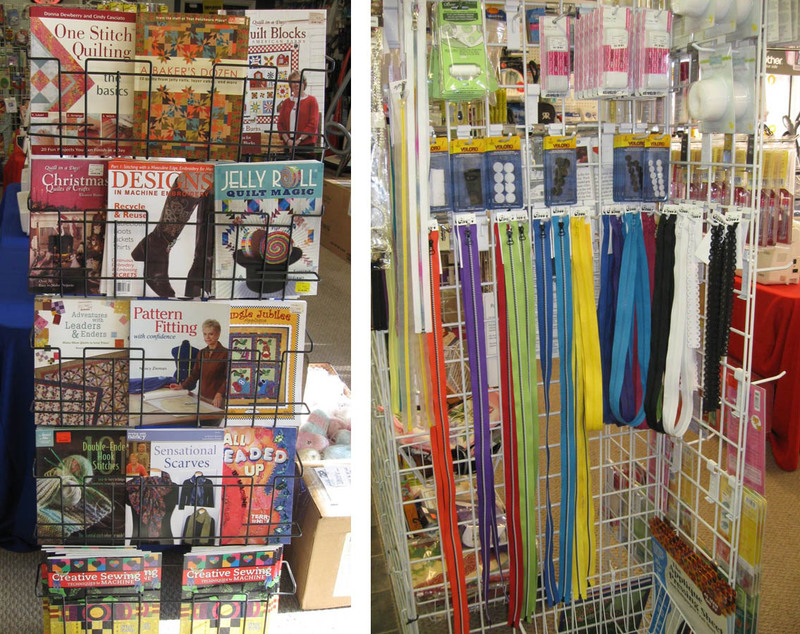 In addition to full lines of sewing and embroidery machines, the store offers a wide array of sewing notions, books and patterns. 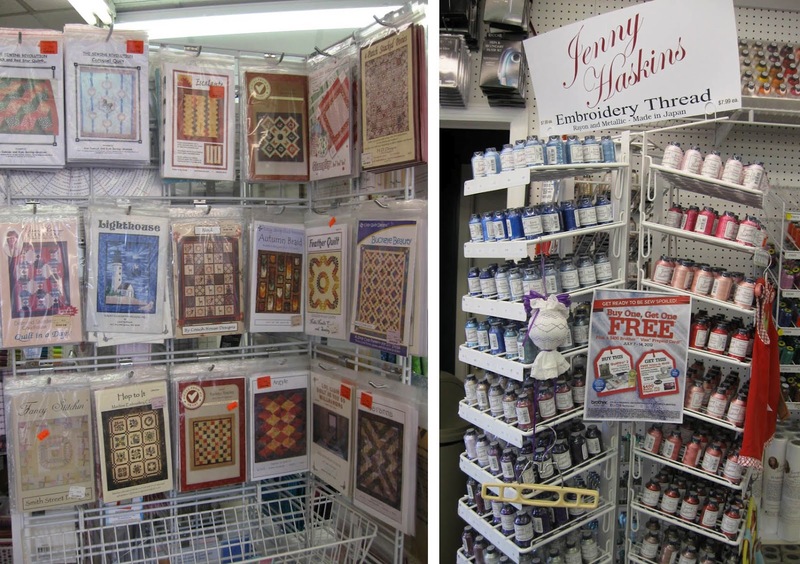 Donna indicated that their Jenny Haskins thread is a very popular and dependable thread giving beautiful results for machine embroidery. Patterns and Jenny Haskins threads. 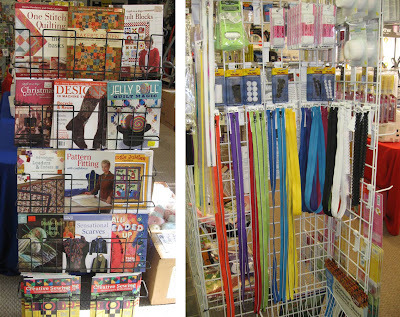 A wall of sewing, quilting and embroidery notions completes the store's offerings. 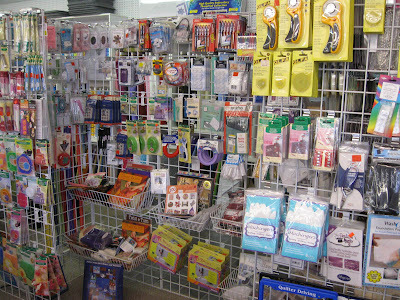 An amazing selection of notions and tools. 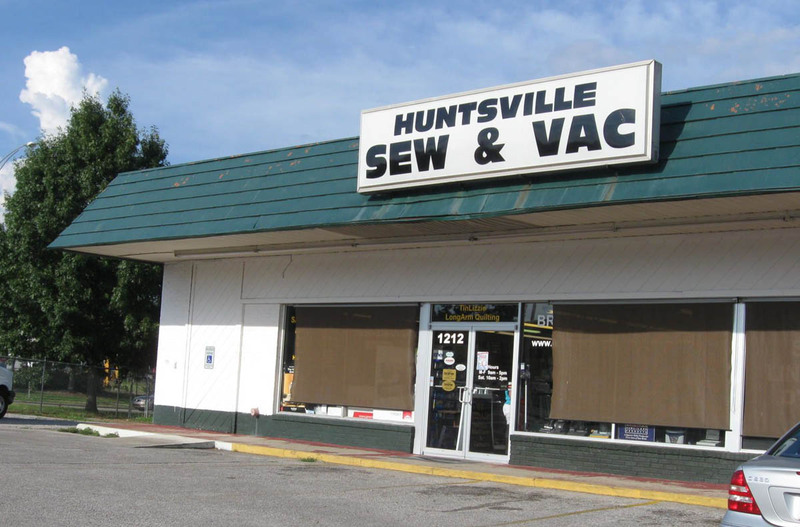 The next time you are in or around Huntsville, Hunstville Sew and Vac is a "must-see" shop.